Somehow gnomes just suit the holiday season. Warm, happy, and colourful, they make your home cozy too. 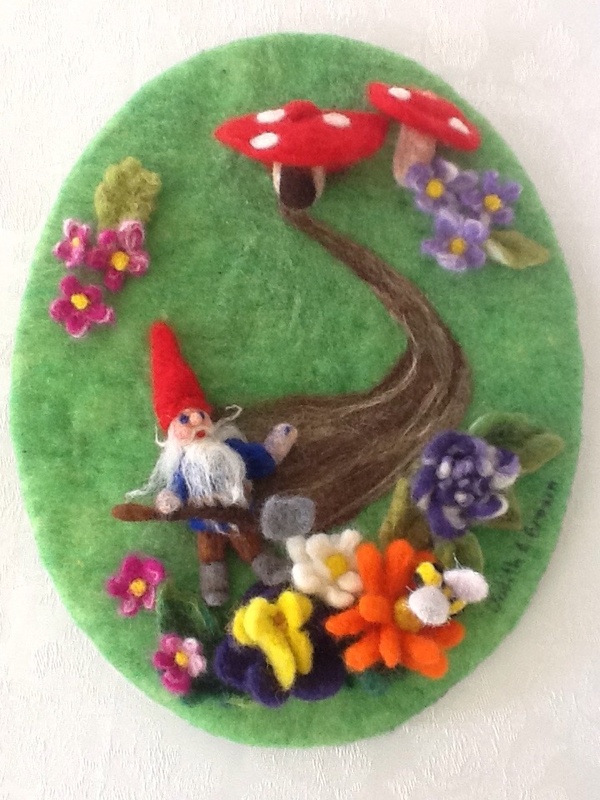 Judy’s felted gnome wreath is the perfect accent for your door. The deadline for the Gnomes and Gardens show was extended, so Judy set to work painting a dozen more Gnomes. Or are there more? Click or tap the picture to see it full size and see how many little figures you can see. 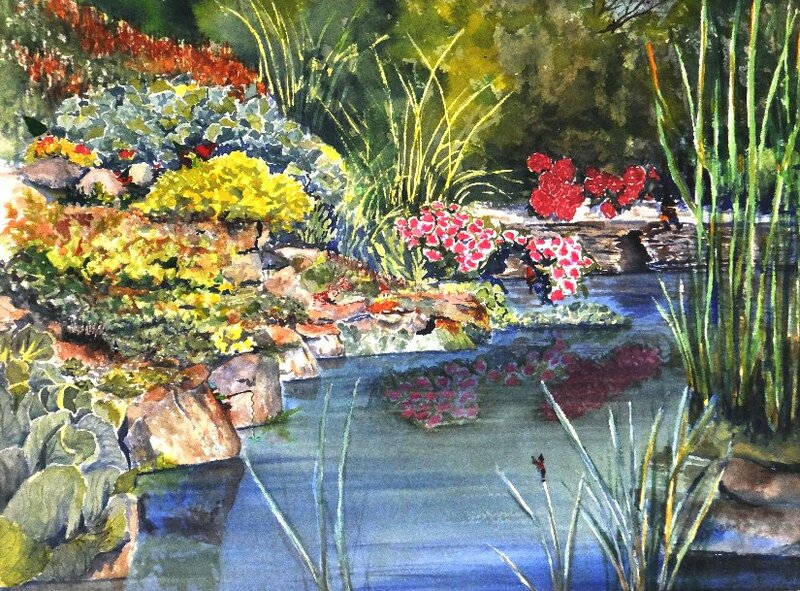 This is a 12×16 watercolour called “The Gnomes’ Secret Garden”. 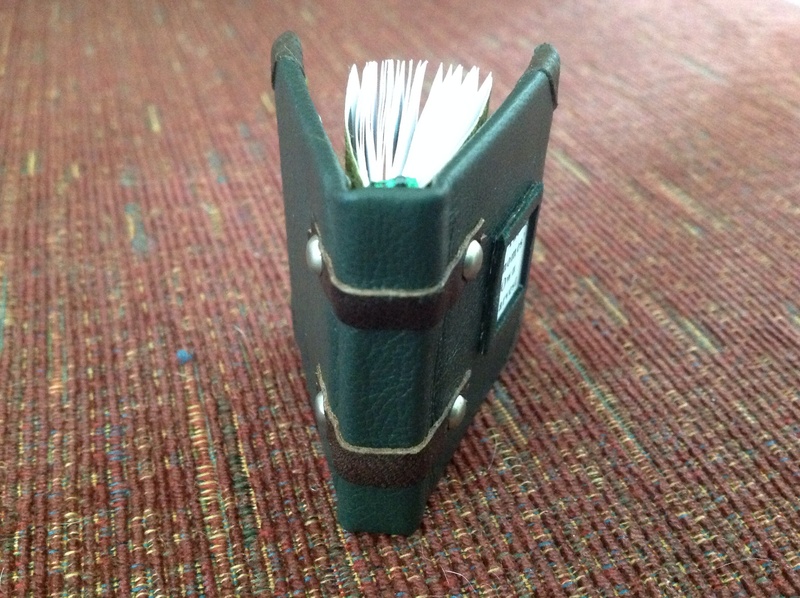 What would a Gnome have on his bookshelf? 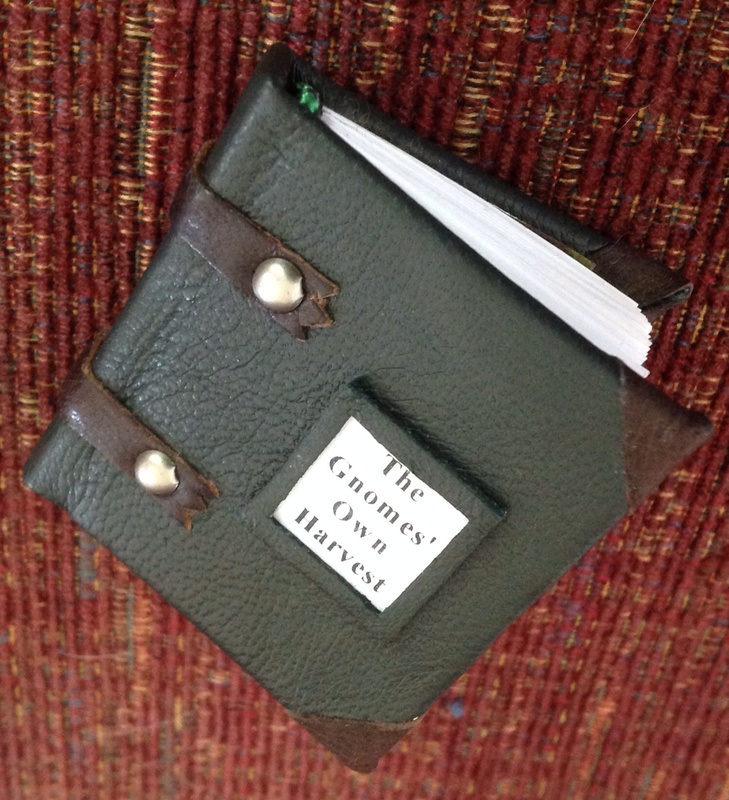 How about a general guide to summer foraging… The Gnomes’ Own Harvest! 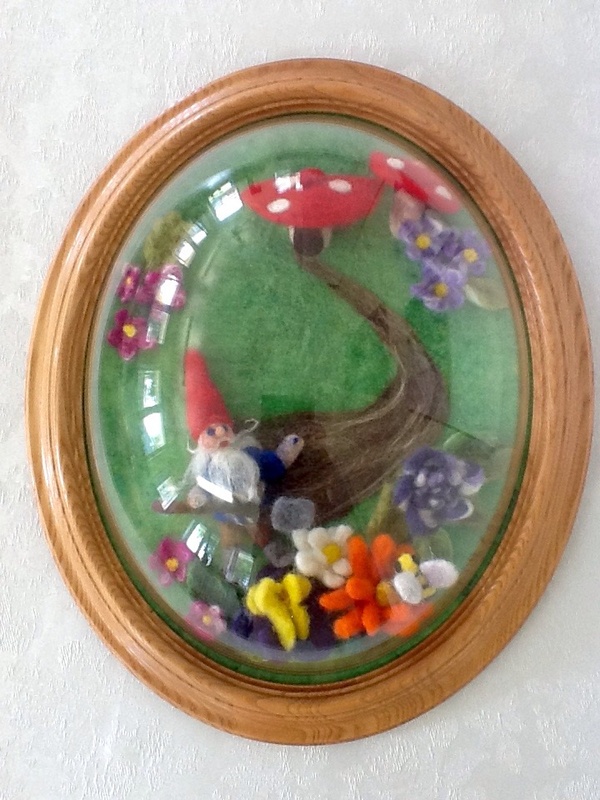 This is Carolyn’s submission to Gnomes and Gardens, the summer show at the Centre for Creative Arts in Grande Prairie. 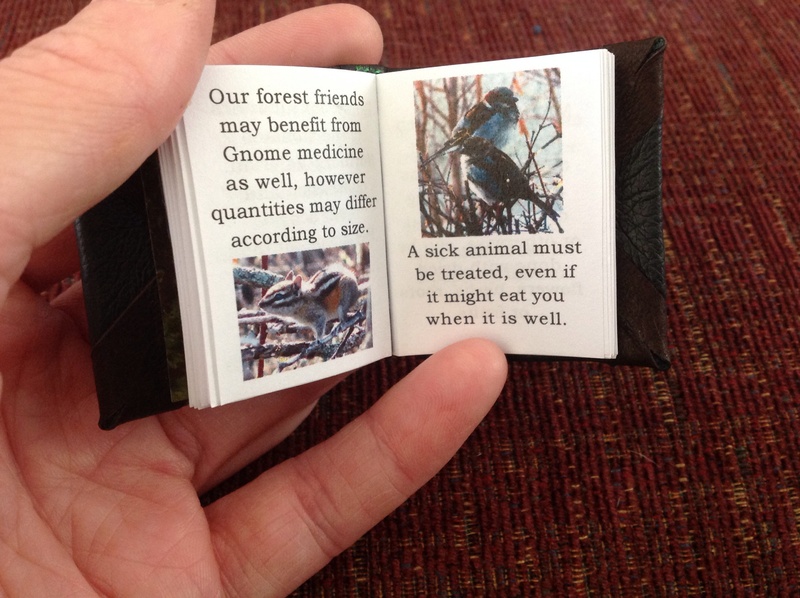 It’s 4.5 x 4.8 x 1 inches which, hopefully, is perfect for the average Gnome.